Health Minister Dr. Rajeev Bindal requested for bilateral cooperation in Hydro power, Horticulture, Tourism and Health Sectors from the Government of Japan to accelerate the pace of development in Himachal Pradesh. 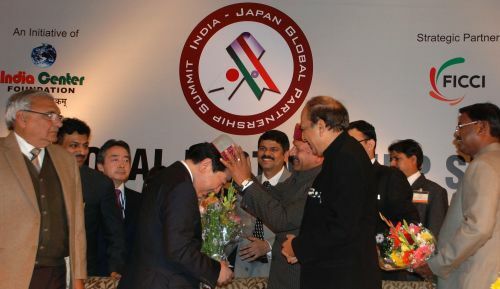 He was speaking in the India-Japan Global Partnership Summit 2013 at New Delhi last evening. Health Minister participated in the Summit on behalf of the Chief Minister. Health Minister said that Rs. 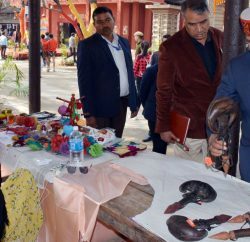 321 crore Himachal Pradesh Crop Diversification Promotion Project in assistance with the Government of Japan would promote the cultivation of off season vegetables and other cash crops by harnessing agro climatic advantage in the State. He also thanked the Government of Japan for its association with the State Government in the implementation of Rs. 160 crore Swan River Integrated Watershed Management Project. Dr. Bindal said that there was tremendous scope for bilateral cooperation in the field of hydro power generation in the State. 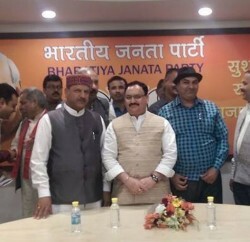 He said that Himachal Pradesh had identified hydro-electric potential of about 23000 MW and added that approximately 6500 MW potential had been harnessed. Six major hydro projects and sixteen mini micro hydro projects have been identified in the State, he said. Health Minister said that the State had prepared Rs. 85 crore ‘Apple Rejuvenation Project’ to replace old root stocks of apple trees and added that 5000 hectare area under old orchard was proposed to be replaced and demanded for financial assistance from Japan Government to fund the project. Dr. Bindal said that the State Government had opened a number of health institutions to provide health services at the door steps of the people of the State. He demanded an amount of Rs. 100 crore for construction of buildings of health institutions besides Rs. 300 crore for creation of the capital infrastructure of three new medical colleges proposed to be opened in the State. 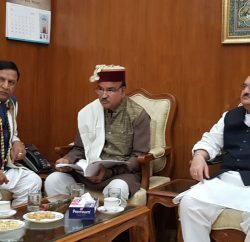 Health Minister said that in order to reduce the distance in the hills, the State Government had accorded highest priority for the construction of tunnels and ropeways. Eight tunnels have been identified in the State which require external financial funding, he said. Dr. Bindal also requested the Government of Japan for technical and financial support for the development of Aerial Ropeway transportation systems in the State for the transportation of horticultural produce through aerial ropeways system over hilly terrain without any disturbance to the hill ecology.